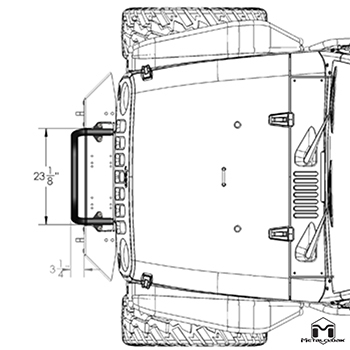 MetalCloak's Jeep Wrangler JL Frame-Built Bumper (Pre-Configured) - one of our most popular builds. 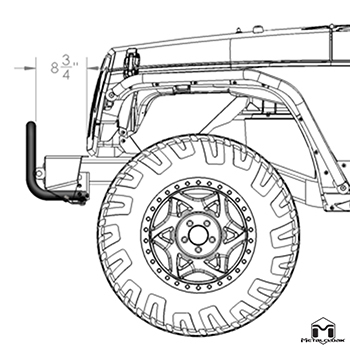 Starting with the Frame Built Bumper base, this is equipped with Stock Flare Caps that configure it to be a Mid-profile, hi-clearance bumper with a total width of 56". A Winch Guard gives added protection for your choice of winch and provides a great look that enhances the sleek minimal build. Get the added protection and get out on the trails with confidence. Your configuration does not include a Fairlead. We leave this option open for you to choose based on your winch type and the type of line you are using on your winch. For instance, if you are using a synthetic line, you will want to choose the Fixed Fairlead. 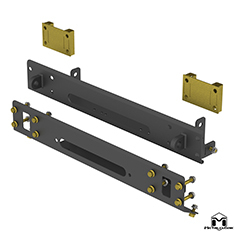 If you are using cable then choose the Roller Fairlead Bracket. If you are not sure if your winch requires the Centered or Offset option, feel free to give us a call or use the Contact Us page to send a message. 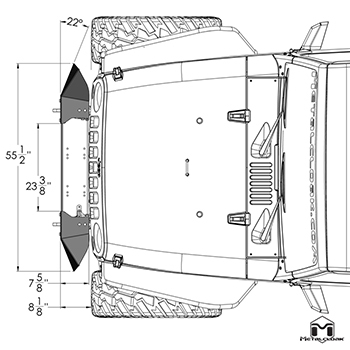 The pre-configured bumper systems start with our JL Wrangler Bumper Base and Winch Plate. Precision engineered, this is not just an adapted JK base, they are designed specifically for the New Jeep JL Wrangler. The first step on your Frame-Built Bumper, the Bumper Base. This is designed for maximum strength to meet and beat anything you can throw at it. Engineered to fit all major winches without modification. 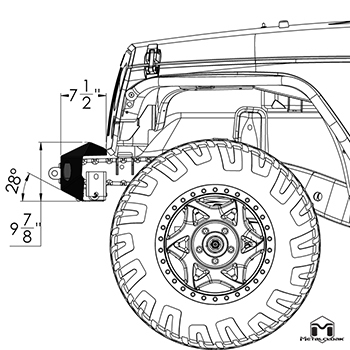 All MetalCloak components bolt directly on creating a unified bumper specific for your Jeep build. Installs in less than an hour, and all components are bolt-on, so you may modify or replace as desired. Re-use your STOCK lights or add lights! The Winch Guard for the JL Frame-Built bumper provides the rugged protection you need with strong lines and a rock-crawler's confidence. 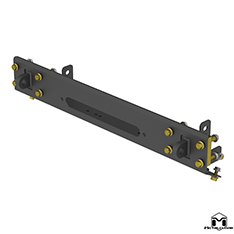 Like all our components, the JL Winch Guard is replaceable if you damage it or would like a new configuration.